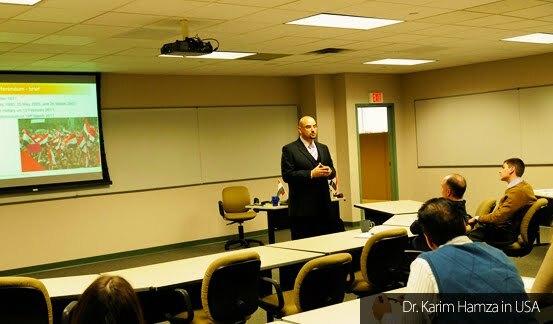 Dr. Karim has almost fifteen years of experience in consultancy and Project Management with leading international companies and organizations in USA, Europe, Middle East and India. He worked on the developments for strategic portfolios; programs and projects to government and different international organizations. His research and publications activities focus on Policy Analysis; Policy Modeling; State Stability; Governance; International Security; ICT Enabled Governance, and Social Media. He had different consulting assignments with UNDP; Egyptian Government; Institute of European Studies (BE); Center for Technology in Government (USA). Additionally he participates often in international E-Government conferences as a guest speaker, jury member, and review committee. This unique experience helped him in developing strong understanding of state of the art technologies and methodologies in developing and managing complex programs or projects, and managing multidisciplinary teams. Also his research experience helped him either practically or theoretically; in developing his skills in political analysis; project management; conflict resolution; risk analysis; stakeholder management and strategic thinking. His focus is on governments; international security and unstable countries like Arab spring countries. Moreover; he has around eight years of teaching experience in Project Management and Information Systems. He works as Part Time Lecturer at the American University in Cairo (EG); Approved Tutor plus Alumni Ambassador for Edinburgh Business School (UK); and Associate Professor for MIS at Modern Sciences and Arts University (EG). He received his Bachelor of Commerce at Ain Shams University, followed by a Diploma in Software Engineering at the Cabinet of Information & Decision Support Center. After that, he was awarded a Project Management Diploma at the American University in Cairo. He was awarded his Master of Business Administration (MBA) from Edinburgh Business School (UK); in 2010, he received his MPhil from the Maastricht School of Management (NL). Finally he was awarded his PHD in Political Sciences from Vrije Universiteit Brussel in Belgium.